So you’ve got a painless lump on your hand—what now? A lump on your hand can be both unsightly and worrisome. And whenever you find an unusual lump on your body, it’s important to get it checked out by a medical professional. However, more often than not, bumps like this are harmless. So, I’m going to show how they could be alleviated with a few simple home remedies. While many conditions could have led to the lump on your hand, a very common lump is called the ganglion cyst. It sounds more intimidating than it actually is, I promise. What Causes a Lump on Your Hand? A ganglion cyst is a benign growth on top of a joint or tendon. Depending on the size, your cyst may feel either solid or sponge-like. What’s inside of the cyst? A sticky, transparent, and colorless material with gelatin-like consistency. They typically occur on the back of the hand and at the wrist joint. But they can also develop on the inside of your hand. Ganglion cysts are more common in women, and 70% of them actually occur in people aged 20 to 40. While the cause of these cysts is unknown, the most accepted theory is that ganglion cysts form as a result of a flaw in the joint capsule or tendon that allows joint tissue to protrude. 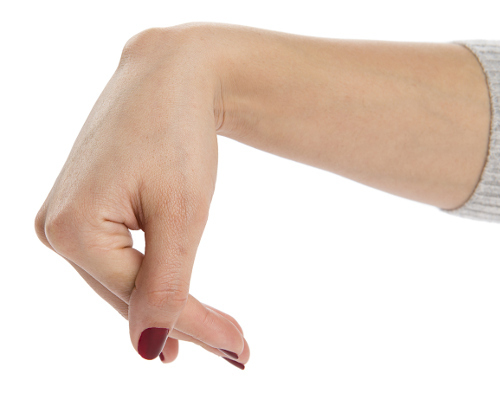 How can you tell if the lump on your hand is, in fact, a ganglion cyst? Well, they usually appear as a bump that varies in size from one to three centimeters. And, they are usually associated with slight discomfort, which can be made worse by joint motion. A lump on your hand can often easily be treated by using home remedies, like warm compresses. Place a warm, damp wash cloth or black tea bag on the cyst. Then, let it sit on the affected area for five to 10 minutes. While warm compresses won’t prevent the growth of a cyst, they can help soothe the pain. One way to possibly reduce the size of your cyst is frankincense oil. Simply applying a few drops of this astringent and covering the affected area with a clean bandage could help minimize the lump. Another potential way to shrink your cyst is with the active properties of echinacea. The level of properdin found in the herb could stimulate your immune system, and may help reduce your cyst. You can buy an over-the-counter echinacea ointment and apply it to the affected area three times a day. Drinking echinacea herbal tea might help, too. In most cases, a benign tumor like this will go away on its own with the help of these natural remedies. But again, you should always have your doctor check out any abnormal lump you find on your body. Some cysts are more complex and could require a needle or minor surgery to be removed. “Home Remedies for Ganglion Cysts,” Top 10 Home Remedies; http://www.top10homeremedies.com/home-remedies/home-remedies-for-ganglion-cysts.html, last accessed May 24, 2017.